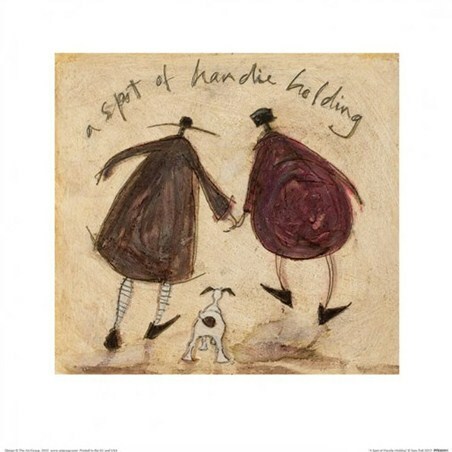 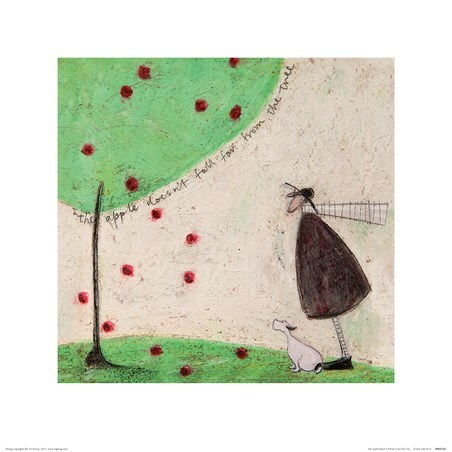 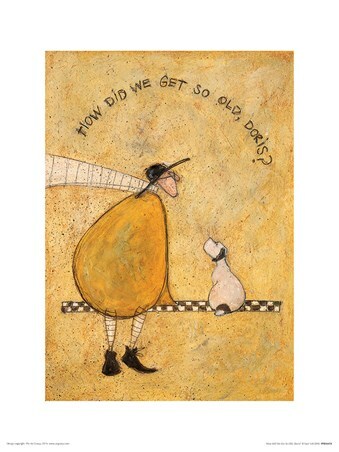 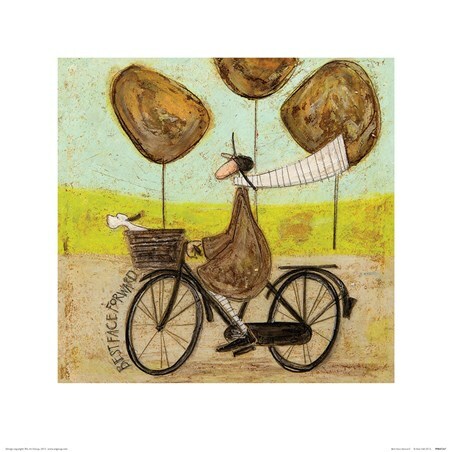 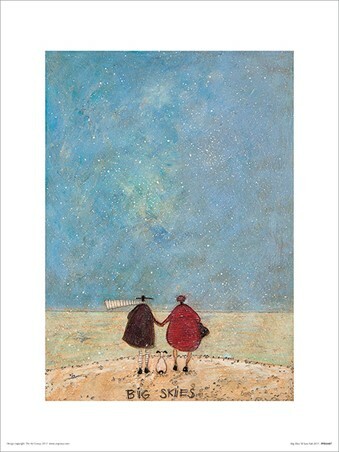 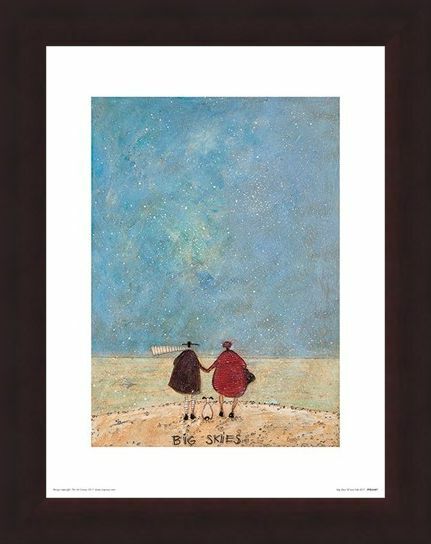 Art print by Sam Toft, the renowned artist based in Hove-Beside-the-Sea. 'Sharing Out The Chips' depicts Ernest Mustard cloud spotting with Doris the dog, braving the wind on the sea front, Ernest sits watching the world go by whilst sharing his chips with his little round pooch while a bright red life ring provides a splash of colour against a dreamy background of blue and turquoise. 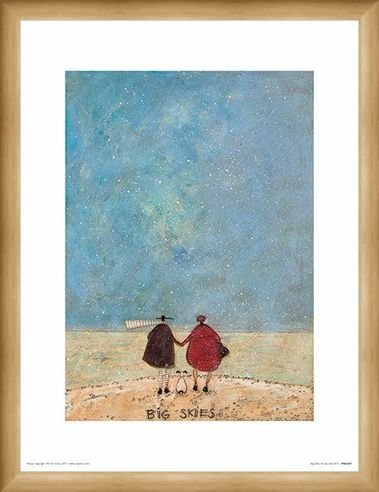 The variation of texture and bold use of colour in Toft's work will brighten up every home and put a smile on the face of any hopeless romantic. 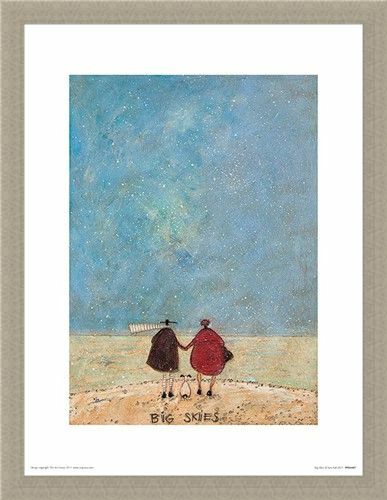 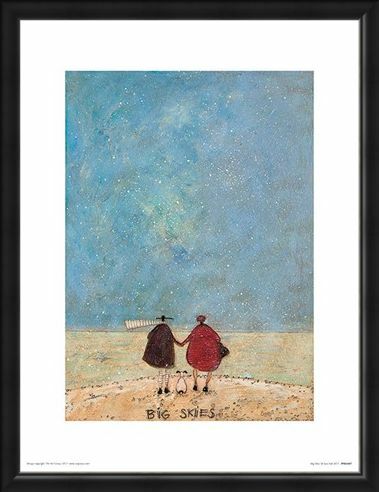 High quality, framed Sharing Out The Chips, Sam Toft print with a bespoke frame by our custom framing service.